Just 'cause we're retro gamers doesn't mean we don't dig new systems, especially those of Nintendo that allow you to play old-school classics in an entirely new way. Besides, true 3-D gaming was born in the classic, like SegaScope 3D for the Sega Master System, which used the same 3D tech that HD TVs are touting now, or Nintendo's first attempt at a 3-D system, the Virtual Boy. Now with the 3DS, Nintendo is promising all sorts of goodies galore for the retro enthusiast, but it’s not all apparent, so to help navigate your way to the old-school goodness we present to you the Retro Gamers Guide to the Nintendo 3DS. Yes, the Nintendo 3DS touts backwards compatibility, but not everything will transfer and it won't play all that the original DS or Game Boy Advance will. 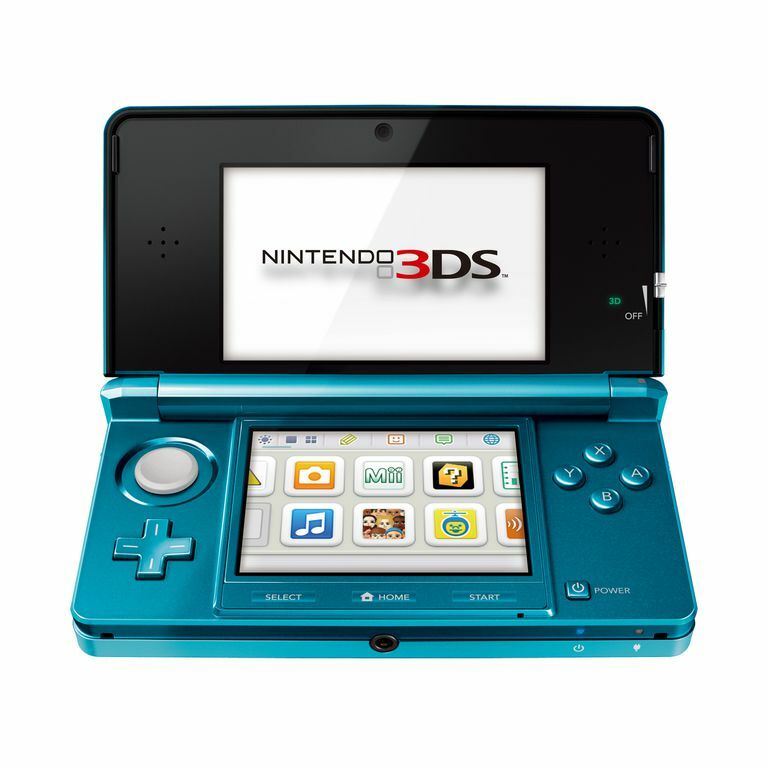 What it does: You can play both the new 3DS as well as the regular DS game cards, also some of the DSiWare games you loaded onto your DSi will transfer. What isn't backwards compatible: In addition to Nintendo sending the warning that not all of the DSiWare titles are transferable, it also cannot play any Game Boy Advance games. The GBA Advance cartridge was a standard on the original model of DS, but eventually removed on the remodeled DSi, and while Nintendo has announced that they will be making Game Boy Classic and Color titles available via their eShop (see section: Nintendo's eShop: 3DS Virtual Console) they have no announced plans for GBA titles. Plus it's doubtful that all of the original classics will be available. Some will likely never see a rerelease again, so hold onto that old system if you want to make sure you're able to play your older games that are no longer available. So far all of the retro rereleases, remakes, and sequels available and announced for the 3DS will be available in 3D, and not through some kind of auto-3D software program but handcrafted 3-D effects. One of the features that makes the Wii one of the best next-gen consoles for the retro gamer has been announced for the 3DS! The big news is that the 3DS Virtual Console will be bringing back the long awaited return of Game Boy Classic and Game Boy Color titles for download via the Nintendo eShop. Even better they will be available in 3D for the very first time. Also just announced, classic Sega Game Gear and Turbografx-16 will be releasing soon. No word on whether the original Wii Virtual Console offerings will also be available for the 3DS, but let's hope that Nintendo gets around to releasing the long lost Virtual Boy titles; especially Wario Land. The handful of launch titles for the 3DS included Rayman 3D, a 3-D remake/remix of the PlayStation One classic Rayman 2. While some are considering this a port, it’s more accurately a remake or remix as the original was never in 3D, and a port means a direct copy of the original game code. Much more plentiful titles launched with the 3DS are the sequels spawned from classic video game franchises including Bust-A-Move Universe, Ridge Racer 3D, Madden NFL Football 3DS, Pilotwings Resort, The Sims 3, Super Street Fighter IV: 3D Edition.